← Is Cocoa Good For You? Peppermint is one of the oldest and most highly regarded herbs for healthy digestion support. Vitality Peppermint Essential oil can be used internally. A drop on the tongue washed down with some cool water and you’ll feel the difference. The scent of Peppermint is invigorating. I rub it on my wrists and put a little under my nose to feel more energetic. It can be diffused in a cold diffuser to make your room smell fresh and delightful. Of course, you can cook with Vitality Peppermint Essential oil by Young Living. 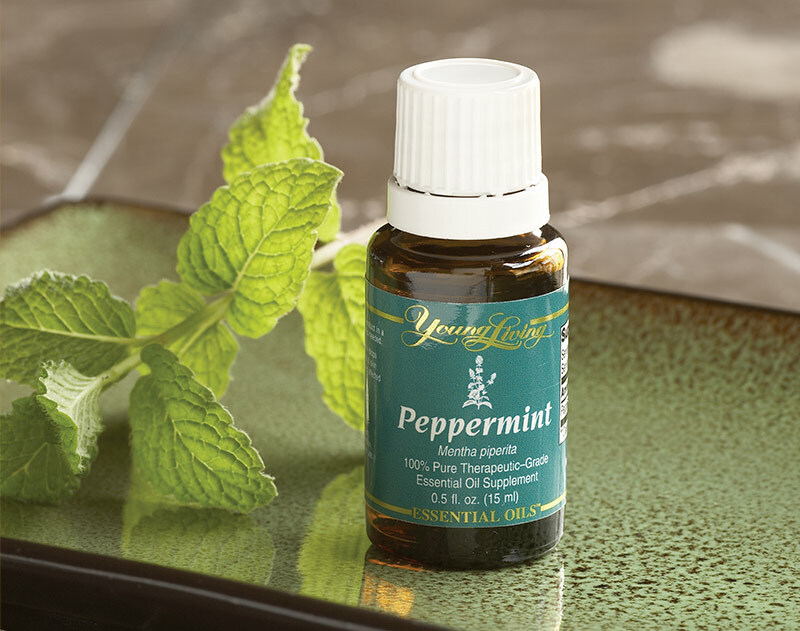 There’s just so many uses for Peppermint Essential oil by Young Living Essential oil. You could buy this oil separately, although I would highly suggest getting the full benefits from Young Livings essential oils, I’d suggest the 2015 Premium Starter kit. Save 24% when you buy wholesale! Since this is being posted during the holidays, Essential oils make a great stocking stuffer! A candy cane is traditional during the Christmas season. Peppermint Essential oil will not damage the teeth like a sugar candy cane will and it will support good health and last a lot longer than candy will. 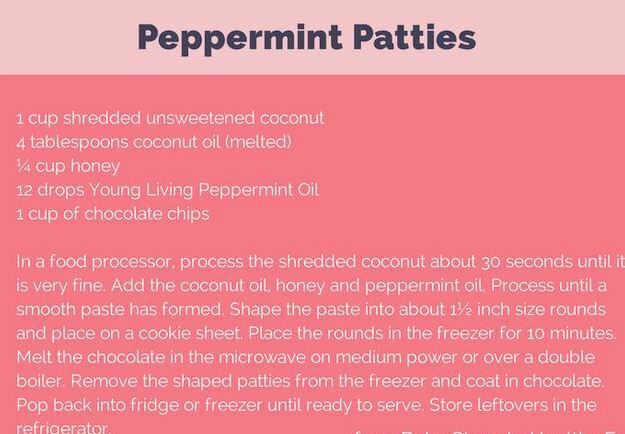 Plus if you really want to give candy you can use the recipe above and make your own Peppermint Candy with Vitality Peppermint Essential oil from Young Living. They will love it, and so will you, knowing you are giving the very best to those you love and care about. Really any time of the year is a good time to give essential oils to those you care about, including yourself. Peppermint essential oil is used in many of Young Livings products such as Aroma Ease, Mountain Mint Deodorant, Breath Again Roll-on, Cinnamint Lip Balm, PanAway, Relaxation Massage Oil, TummyGize and so many more products there’s too many to list here. This entry was posted in Essential OIls and tagged any time gift ideas, christmas gift, dexter black, Dexter D Black, peppermint essential oil, peppermint pattie recipe, recipe using Peppermint essential oil, stocking stuffer ideas, uses for peppermint essential oil, vitality peppermint essential oil by young living. Bookmark the permalink.